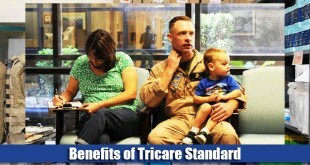 As a TRICARE beneficiary, you may find yourself in a fix if you have to update or modify your home to accommodate a disability. 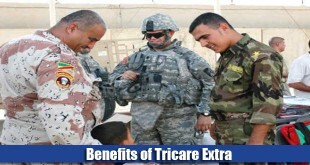 Find out here how TRICARE can help you for Home Updating Grants. 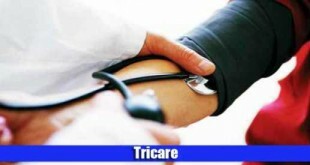 Although the TRICARE health care program does not include any alterations that may be needed in the living space, the Department of Veterans Affairs (VA) offers three main types of grants that can be used for this very purpose. The purpose of these grants is to assist veterans in updating or modifying their homes to accommodate for the disabilities that they may have suffered because of their time as actively serving members of the military forces or the disabilities that come about as a person ages. For example, if you wish to get grab bars installed in your bathroom, then you might find coverage for this in one of the grants offered by the VA. The four main types of grants are SHA, SAH, TRA and HISA. The Special Home Adaptation Grant is also referred to as the 2101(b) Grant. This is given to those veterans who have some kind of a disability for which they need to update or renovate their homes so that they can continue living on their own and not have to rely on others to help them go about their daily life. Veterans may be undergoing many different disabilities, such as blindness. Because of injuries that may be sustained while they were serving in the military forces, they may have lost the use of their limbs or hands. This makes it significantly difficult to carry out many tasks that an average, healthy individual is able to do without any trouble. Who is Eligible for a Special Home Adaptation (SHA) Grant? In order to be eligible for this grant to modify the home for any disabilities, a veteran has to either be blind (that is, he or she should be unable to see from both eyes) or is unable to use both of his or her hands. In addition to this, those veterans who have lost any ability or function because of any burns sustained are also considered to be eligible for the Special Home Adaptation grant. Veterans wishing to apply for this grant can do so through the VA office. What are the Benefits and Limits of the Special Home Adaptation Grant? For the current year (i-e, 2015), the maximum amount of money that can be awarded to a veteran to modify his or her home due to any of the aforementioned disabilities amounts to $14,093. However, in most cases, the total amount of money that can be granted to a veteran is equal to the approximate cost of the modification of the house. The grant can be used in a number of different ways. The grant can be used to modify a house that he or she (or a family member) is going to buy and live in. It can also be used to modify the house in which the veteran already lives in and owns, or one that a family member owns and the veteran intends to live in. It can also be used to buy a house that has already been modified and updated with special adaptations to accommodate the veteran’s disability. As such, there is currently no limit on the amount of time needed for the use of this particular grant. What Kind of Adaptations May be Needed? As mentioned above, veterans who are eligible for this grant need to be blind, not have full use of both hands or have sustained burns leading to loss of functioning. For veterans who are blind, special lighting and sliding doors may be needed. Handrails can be used to provide support. In addition to this, smoke or fire detectors should be installed, as well as an intercom and proper security system. A number of other adaptations are also possible, such as the installation of fences, additional electrical outlets for any special sensory aid that is being used or a swimming pool for the purpose of exercise. The Specially Adapted Housing Grant is also known as the 2101(a) grant. The purpose of this grant is to provide veterans with the financial resources that they may need to update or modify their homes, such that their homes are easily accessible via wheelchair. Only those veterans are eligible for the grant who have disabilities connected to service, which includes either the loss of the full function of the two legs or the complete loss of a leg. 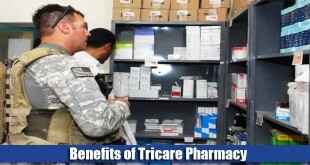 Because of the narrow eligibility criteria, only very few veterans are eligible for this grant. There is, however, no time limit for this grant. This means that even if an individual is not initially eligible for the grant, he or she may become eligible over time if a certain injury sustained while in service has progressively gotten worse. Who is Eligible for a Specially Adapted Housing Grant? In order to be considered eligible for a Specially Adapted Housing Grant, a veteran has to have a disability that is related to his or her service, one that has caused an impairment in the normal functioning of at least one of the legs. In addition to this, a person who has lost the use of one of the lower extremities and has very slight perception due to blindness can also be considered eligible for this grant. A person who has lost the use of the upper extremities that prevents him or her from using the arms, also qualifies for this specific grant. If a severe burn has led to a complete and permanent disability, it will also make a person eligible for the grant. The VA Form 26-4555 needs to be filled out and handed to the VA Regional Loan Center if a person wishes to apply for this grant. What are the Benefits and Limits of the Specially Adapted Housing Grant? For the current year (i-e, 2015), the maximum amount of money that can be granted to an individual in the form of a Specially Adapted Housing Grant is $70,465. An index of the cost of construction is used to revise this maximum limit on an annual basis. If a veteran qualifies for the Specially Adapted Housing Grant, there are a number of different ways in which this grant can be used. The veteran may use the money to buy a piece of land and construct a house on it, in which he or she is going to live. Alternatively, the money can also be used to build a house on land that is already owned by the individual. If the veteran already owns a home, he or she can use the grant to revamp the house and allow for adaptations to cater to their disabilities. If he or she has already purchased a house with these modifications, then these grants can be used to pay towards the mortgage of the house. At present, there is no deadline or time limit within which a person has to apply for the Specially Adapted Housing Grant. For people who have lost the use of their legs, several different adaptations can be made to a house. Firstly, ramps should be present at all entry and/or exit locations that provide the person with easy access to the house, which is especially important if the entrance or exit is a few steps above ground level. Doorways must be sufficiently wide enough to allow wheelchairs to pass through easily, as should halls. Furthermore, if the house has a garage, then it should be wide enough to allow a wheelchair-bound individual to move about next to the car. Furthermore, there should be minimum one bathroom that is large enough to accommodate the individual and his wheelchair. Other adaptations include having accessible electricity outlets. The purpose of this grant is to provide financial support to veterans who may be living in a house owned by a member of their family on a temporary basis. The amount given to the veteran as the TRA Grant can be invested in modifying this house according to the veteran’s disability. Who is Eligible for the Temporary Residence Adaptations Grant? If a veteran qualifies for a SAH grant or SHA grant, then he or she may receive a TRA grant in case he or she is living on a temporary basis with a family member. A family member is any individual who is related to the veteran through marriage, blood or adoption. What are the Benefits and Limits of the Temporary Residence Adaptations Grant? 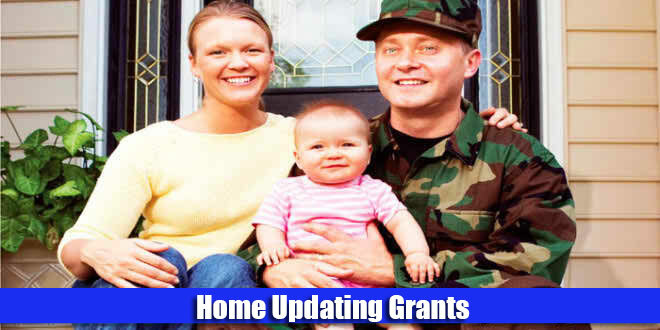 The maximum amount of money that can be given to a veteran in the form of a Temporary Residence Adaptations Grant depends on whether the person has been considered eligible for receiving a SAH Grant or a SHA Grant. If a person has qualified for the SAH grant, the amount received as a TRA grant is considerably greater than the amount that the person would have received had he qualified for a SHA grant instead. The construction cost index is also used to review the maximum limit each year; in general, this maximum limit either will remain constant or will increase further, and there will be no decreases even if construction costs decrease. In order to receive the grant, veterans need to provide detailed information to the relevant authority about the total cost of all adaptations that are needed. This will be used to assess the exact amount of the grant. If any work has been done on these modifications before the veteran received final approval for the grant, reimbursement may be provided in some cases. 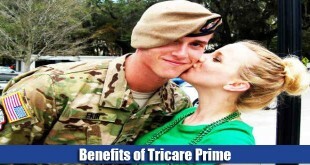 The main limitation of this grant is, of course, the fact that the person has to qualify for either the SAH Grant or the SHA Grant, after which if it is determined that the intent of the veteran is to live with a family member temporarily, the person will be considered eligible for the TRA Grant. The main purpose of this grant is to provide financial assistance to veterans with some form of disability, who need to modify their homes so that they can have easier access, improved mobility and easier use of lavatories. For this grant, a veteran does not necessarily have to have a disability that was caused due to his or her military service. If a disability is connected to service, however, then a person can receive a larger amount. Who is Eligible for the Home Improvement and Structural Alteration Grant? 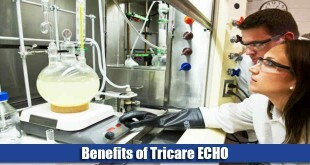 In order to qualify for the HISA Grant, a person must present a prescription from his or her doctor, which clearly states and describes the diagnosis. 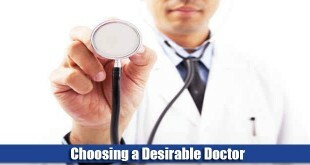 In addition to this, the prescription must also contain the exact reason why the person needs to modify his or her home. There is no compulsion about ownership; even if the veteran does not own the home that he or she wishes to modify, the grant can still be given. The application for this particular grant is available online. In addition to the application, a person applying for the HISA grant also needs to include his or medical prescription, as well as bids about how much the total modification process is going to cost. At least three bids need to be included in the application. What are the Benefits and Limits of the Home Improvement and Structural Alteration Grant? For the current year (that is, 2015), the maximum amount that can be given to an individual as a HISA grant is $2000 if a person suffers from a disability that is not associated with his or her position in the military. The maximum amount is $6,800 for those individuals who have developed disabilities because of their service in the military. The limitation of this grant is that it does not pay for luxury fittings such as spas or Jacuzzis. Furthermore, any exterior decking or walkways to other buildings outside will not be covered by this grant.